To track down ip addresses or domains, simply follow the steps below. It's free and relatively easy to do. Please note: This is the simple way to track down an ip address or domain name. There are other ways (usually more precise and accurate), but this is the beginner way to get you started. 1. Type ip-adress.com/login into your web browser and press Enter on your computer. Near the bottom of the page, fill in your email address, first name, and last name so that they can send you your login details. Please note: You may want to use an email address that you use for your commercial ventures, as they may send you spam. Usually, however, they will stop after a few attempts of trying to get you to sign up for their premium service. With your premium service, you would get "unlimited" ip address or domain look ups per day. With the free service, you get only 25. However, that it usually sufficient for most people's purposes. 2. You will receive an email in your inbox shortly. 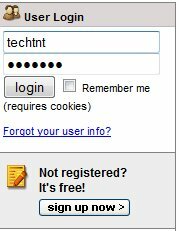 With your email and password, simply go to the same address again (ip-adress.com/login), look on the top left corner of the website, type in your email and password, and then press Enter. 3. Once you have logged in, type the domain name or the ip address (such as 111.111.111.111 or whatever the ip address may be) in the top left hand corner of the website that you want to track down and press Enter. 5. You have now officially learned how to track down an ip address or domain. That wasn't so hard! Stay tuned at Tech TNT for more great articles coming soon. Thanks for reading my article on how to track down an ip address or domain.